Graduating from Colorado State University in 2000 earning a Bachelor of Science in Rangeland Ecosystem Management with a concentration in Restoration Ecology. 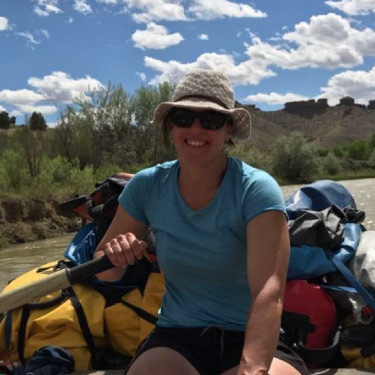 Leah worked for the United States Forest Service for 16 years’ on 5 National Forests, Colorado Pawnee Buttes National Grassland and the Santa Ana Pueblo Reservation. Leah’s working experience combines: timber, botany, recreation, hydrology, wildlife and fire. In 2012, Leah moved back to Colorado working in the Mosquito Range Mountains looking for threatened and endangered plants and teaching hands on, science based curriculum. Leah enjoys sharing her love for the outdoors through education and in the field exploration.